A new approach to leadership is needed! Leaders are failing due to focus on short – term results and an inability to look at their organisations from the outside in. 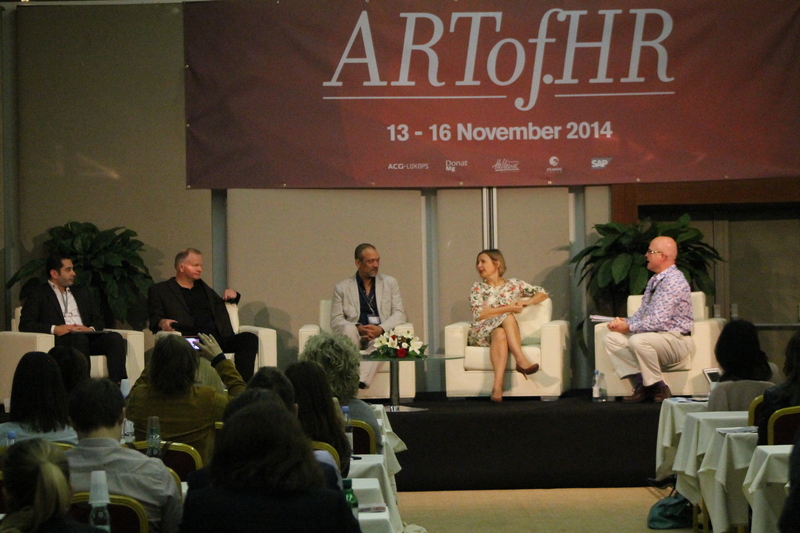 An ARTof.HR panel chaired by HR magazine suggested the command and control style of leadership was no longer fit for purpose and HR should consider a more nuanced approach that enables staff. Zdravka Demeter Bubalo, HR VP at Hungarian oil and gas company MOL Group, said leaders have become internally focused and are often not aware of the social impact of their decisions. She said good leaders are curious and have the ability to change while maintaining relationships with key stakeholders. Dave Ulrich, author and professor of business at the Ross School of Business, said the main challenge for leaders is balancing the need to be: changeable and stable, hard and soft, transactional and relational, intellectual and intuitive, visionary and proactive, and balancing personal interests with other interests. Harvard Professor Partha S. Ghosh told the panel a problem with leadership culture is short – termism – Leaders often have good intentions but are consumed by delivering instant results in a fast – paced digital world. Ghosh said the best leaders focus on enabling, are adaptable, and understand that people need to lead at different times, rather than acting in a rigid, hierarchical manner.